Do you have friends who are always moaning about something? No matter what happens it is never quite good enough. You know the ones, when you dread saying to them “how are you?” because you know that they will have a whole long list of problems to tell you about, while at the same time having no real intention of doing anything about those problems? We all have friends like this. My question to you is are you one of those people? 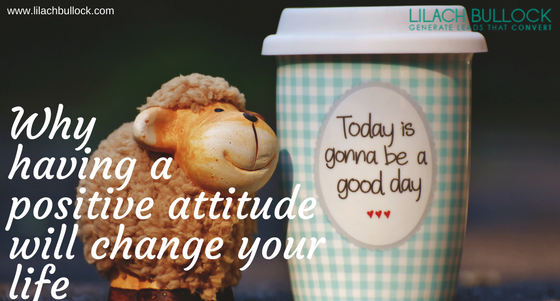 Have a think about your attitude, when someone asks you how you are what do you say? I read a brilliant book once (How to Be Brilliant: Change your ways in 90 days! By Michael Heppel) which encouraged everyone to reply “brilliant thanks” when asked this question. Most of us will say “I’m OK” or “not too bad thanks” or “I can’t complain” – none of which sound very positive do they? If your reply was “brilliant, thanks, how are you?” just imagine what difference that would make to your conversation, your mindset and how the other person feels about their interaction with you? 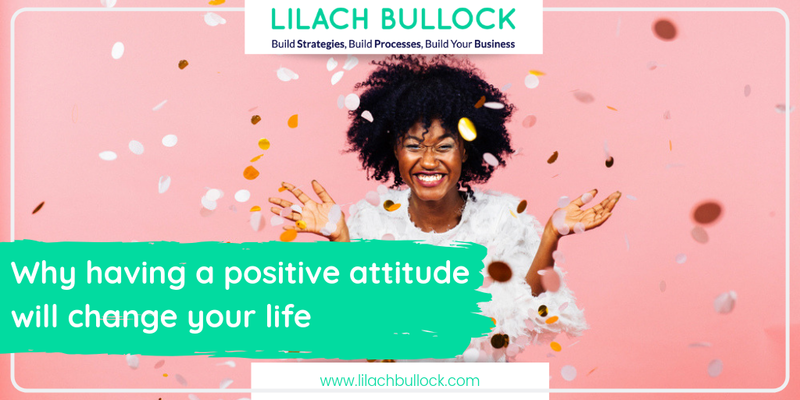 A positive attitude is everything in business. Not to the point where you are pretending that things are better than they are, we all have difficult days, weeks etc. But if you are going to survive the entrepreneurial challenges of running your own business and not just running it but scaling it and growing it and being super successful with it then you need to have a positive mindset. There will be days when everything feels too much. When customers are late paying and suppliers are chasing you to pay them. Where your latest service or product launch doesn’t go as well as you hoped it would. Where staff let you down or customers ask for a refund or your printer won’t print and your laptop won’t connect to the internet. We ALL have these days, let me reassure you of this. It doesn’t mean that the world is against you, that your product won’t sell that you should give up and go and get a job. It means that you need to be really strict with yourself about your mindset and that you need to keep going. One of the best ways to keep a positive mindset is to surround yourself with positive people who will encourage you. Get into the habit of focussing on your successes and celebrating even the smallest of wins. If something goes wrong then yes, let yourself feel the hurt or anger but move on. Maybe try to set yourself a time limit, let yourself be angry for 5 minutes and then tell yourself that it is time to move on. I like to have a list of positive things to remind me of how good my life is. Maybe a photo of your family on your desk, a list of your biggest achievements on the wall next to you or something else that is important to you. Also, make sure you book in regular time that you know will make you feel positive. Maybe a weekly cup of coffee with a really positive friend or a daily email to someone who needs your help – one of the best ways to feel good about yourself is to help someone else. Try it! And if you need some help with your mindset then please get in touch, I love seeing my coaching clients go from stressed out and overwhelmed to in control and positive thinking when they work with me. I’d be thrilled to do the same for you. Great advice on positive attitude! I agree with you, you want to surround yourself with like-minded people. The Universe will also help out here by naturally getting you away from all such negative people. it’s not what happens to you but how you react to what happens. And your perspective on life and in the bigger picture. I think sometimes we forget to live in the moment and just be happy no matter what. Yes, things happen and it is okay to feel these negative emotions, but as you’ve mentioned we gotta move on.